The claims came in an RTÉ Investigates show aired tonight, which highlighted a number of incidents in the third-level sector. THE PUBLIC ACCOUNTS Committee (PAC) is to seek legal advice after it claims it was misled. The show uncovered evidence of breaches of ethics and procurement laws at the University of Limerick. Over 150,000 transactions were examined by the programme, using a year of Freedom of Information documentation. It outlines billions of euros of spending undertaken by government departments, public bodies and agencies. According to the programme, NUIG awarded a construction contact to a company backed by developer Bernard McNamara despite red flags raised by internal reports. The company subsequently went into receivership. In all, it took eight years and three tender awards to deliver the buildings with a cost to the taxpayer of an extra €20 million. Members of the governing authority failing to declare interests in companies that were awarded contracts by UL. Two lump sum severance packages of €231,000 and €220,000 being paid to senior staff who were then awarded consultancy contracts. A Comptroller & Auditor General investigation declared the payments were excessive. UL has since agreed to the establishment of an independent review into the governance, HR practices and financial procedures. The programme also outline how UCC paid more than it disclosed to the PAC for a takeover of the Irish Management Institute (IMI). Fine Gael TD Alan Farrell, who is a member of the PAC says that malpractice in the sector must be addressed. “I was shocked by the false and misleading testimony provided by UCC in relation to its merger with IMI, and their preposterously inadequate response to RTÉ. “Procedural flaws in the treatment of whistle-blowers and mismanagement of severance deals were also uncovered. Worryingly, €100,000 plus was spent on pens and medallions for retiring staff in a shop linked to a member of the board of the college without any apparent regard for ethical obligations or tendering requirements. “There was also wilful misdirection of information to the PAC. UL and UCC were certainly economical with information in their communication with us. Email “'€100,000 was spent on pens and medallions for retiring university staff'”. 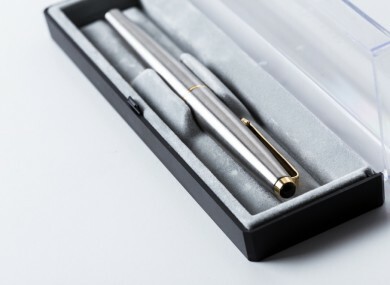 Feedback on “'€100,000 was spent on pens and medallions for retiring university staff'”.